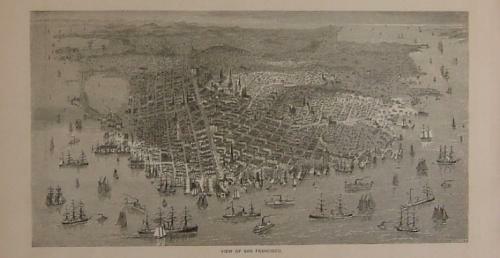 Title: 'View of San Francisco'. An intricate view of Chicago from a nineteenth century reference book. In very good condition, slight toning and set in a page of text.